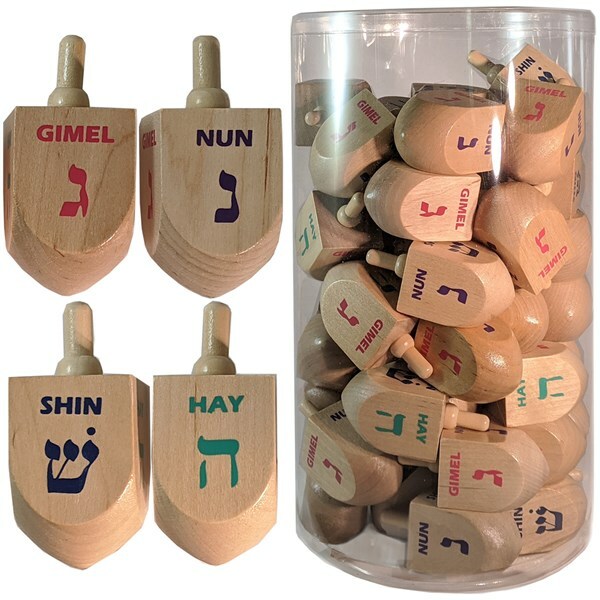 Natural wood dreidels with multi-color letters. Also has letter name in English letters. Loose in round plastic tub.